Three years have passed since Larisa Crunteanu auditioned for the Romanian soap-opera reality show Forbidden Love. With weekly releases, the show presents cases of socially unacceptable romance, crossing boundaries of age, beauty and economy. The audition was successful and she obtained the part of Petronela, a spoiled 30 year old woman growing mentally unstable because of her lover’s attraction to older women. The plot reversed the stereotypical story of an older man seducing a younger woman, an example of how the show made space for new empowering types of female subjectivities. Since the series ended Crunteanu has insisted on keeping in touch with her fellow actors. In 2017 they met again to talk about the experiences that they went through together. They revisited the old scenes, and each of their characters, and Crunteanu documented it all. As spectators of this material we end up in the same liminal state as the actors themselves. Our positions are intertwined into the narrative as we engage with the questions: How is love performed? And further: How is love mediated? Aside from commenting on narrative and performance in the soap-opera, Crunteanu initiates and produces new sets of shooting, which she later mixes with scenes from the original telenovela. The emancipatory potential of the original TV series had crumbled under the weight of modest means of production. The protagonists were played by amateurs and extras from other shows, the locations were small living rooms rented for close-to-nothing and the lights were harsh on the DIY make-up. And, not at least, the semi-structured script left too much space for improvisation. The new material is easily distinguishable from the old, leaving traces of cinematic development since 2015. Crunteanu used these differences in technological quality, deciding not to camouflage the media. Instead, she let the sets of footage intertwine narrative-wise, so that scenarios from the TV series is continued further into the additional material. In this way the film sequences reenactments of the original soap opera with documentation of reflective discussions about what was actually happening. Simultaneously the medial contrast defines the edges of an open ended narrative. This is not just a story to which details are added. Something else is happening: the additional material mirrors the old, and, instead of continuing the story, it inverts it. It seems like this mirroring sequel could go on forever. In such a process, the narrative of love slowly turns into something different than levels of ownership. In the glitching in tryouts, there is no perfect match. Neither is there a perfect couple or such a thing as a perfect phrase. Something else than selling affect is at stake. Perhaps this is not even a question of affect, but a way of organising the senses. Not the sensible, but senses as the very act of distribution. In the mirroring process of the soap opera, the organisation builds up to slowly take over the eye of the camera. The drama of relations is reconfigured to exclude a market of mere affect. Instead, new bonding strategies are developed beyond the actual performance. In the additional material, Crunteanu and her fellow actors comment on their different strategies of improvisation in Forbidden Love. This dimension of the work questions when improvisation actually stops. Could it be that the new footage is just a continuation of the acting, a further development of the dialogue between the actors? The resulting film is entitled A Small Insignificant Love. It is introduced by Crunteanu, after which the fellow actors join the introductory scene. They do not speak about themselves and neither do they speak about the TV show. They speak about love, which is the main topic of the work and arguably one of the most central notions in the history of art and society. As in fiction, where love is never fully exhausted but rather expanded, the narrative in Crunteanu’s work becomes more and more elastic, almost to the point of involving its new and coming spectators to join as well. Crunteanu herself underlines the fact that accessibility and common languages are crucial details for this project. Similarly, she states that this is not a project criticizing the logic of TV production and consumption, or commenting on the representation of heterosexual relations in small bourgeoisie contexts. For her the work is a way to investigate some of the most common formats of narration in the last 20 years, that is, the reality show and the soap opera. The question of what these formats do to us could be answered with addiction, insomnia and financial debt caused by various online accounts. For Crunteanu’s part, the question needs to be inverted: what do we do to the format, and why? This is also the focus of the conversation between the subjects in the new film, where the positions of actors and characters are intertwined to the point that the protagonist Răzvan (whose real name is Ionut) asks Crunteanu: who are we actually talking about? The character or the actor? In the end it is this glitch in the conversation that enables the whole interaction. The questions posed by the actors in their conversation about the original series have no defined direction, something which is also made visible in how the material is edited. Comments on the new scenes are intertwined with new additions to the manuscript. The outcome is a composition of questions that include the spectator in Crunteanu’s initial approach to the TV series. She did not audition for it to be famous, but to embody the position of the actor as a method to investigate what it means to shoot a narrative for one’s fellow citizens who are watching, to act out love toward a fictional character, yet remain oneself when it comes to spontaneous actions and responses to questions. In the spring of 2018 I invited Crunteanu to Stockholm to present her work-in-progress at Index – The Swedish Contemporary Art Foundation. In the Q&A following the screening, Crunteanu explained how she and her fellow actors empathized with their co-characters and their unfolding story. The vague boundary between actors and their protagonists is also seen in Crunteanu’s additional material, where all actors relate to their own actions – as the protagonists in Forbidden Love. They explain that they proceeded in the role play as if they were themselves, acting as they would do in private life. It is this transitional stage that is being further developed in the new film, where the story-line is virtually mimicked, while the position of the actors and the protagonists is further examined. Thus Crunteanu is not aiming at reworking the linear construction of a narrative, but rather giving vertical space to the two different agents of actor and person, to dive deeper into their actions. Not for the purpose of polishing them, but to investigate in their logics. It is difficult to remember events from passed time, but through Crunteanu’s method remembrance is made possible for all the actors. The reason might be the embodiment through which the actors revisit their protagonists. The revival of their relation to the story and the focus on their position in the role-play enables an encounter between times, a weaving together of anachronistic logics. The same method was used during the shooting of Forbidden Love in 2015, Crunteanu explains. Due to the low-budget production process, there wasn’t much space for her and her co-actors to practice and learn the manuscript by heart. By making the narrative their own, the actors also enabled a role-play where they co-existed with their characters. By getting to know their characters the actors also got to know themselves. Therefore the time of shooting was a not only a production of visual material for national screening, but as well a complex investigation of the self in relation to others: the multitude of love in a post-fictional time. The original TV series Forbidden Love was produced in a week, a speed relatable to the self-imposed production of imageries of daily life, through cell phones and social media. What differs, Crunteanu underlines, is that the Forbidden Love footage wasn’t produced by the actors themselves and neither was it presented to them long enough in the editing process for them to grasp what they actually had produced. This is, however, what they did in the process initiated by Crunteanu. In the vague distinction between character, role-play and personal endeavors, the actors were given longer time with the narrative and their positions within it. Thus the autonomy produced is not only relative to the storyline, but also to the production process of underpaid actors. For the additional footage, Crunteanu made possible actor’s fees according to the European standard, further underlining the importance of their contribution and in a way also compensating for the low wage and poor gratitude during the first shooting. The fact that Crunteanu’s project turns a low-budget TV production into an international, subtitled artwork is a difficult process that brings the actors into the very different context of the art world, an exclusive, judgemental world with socially and economically limiting structures. Aside from Crunteanu, no-one in the original setting was familiar with these structures, so she had to watch out to not objectify their participation into archive matter without agency. This is one of many reasons why Crunteanu didn’t change the format of the work. Sticking to the narrative, she also holds on to her co-actors. She explains it as a way to hold on to the first agreement made between the actors: to act in a TV show, screened for a large audience. Instead of conceptualizing the editing process into complicated fragments and views on the original material, she went on in the same direction they once started. Perhaps this is also the reason why the actors today can speak so freely about their memories, about the process and their relation to it all. They just do as they did then: improvise and follow their first thought, comment on what other people say and continue to weave the story. Additionally, for Crunteanu, faithfulness to the original medium relates to the reason why she first wanted to audition for the TV series. As a channel for societal education, TV drama is as important as new media and journalism. Through embodiment of character in this format, something happens. This is the reason why Crunteanu wanted all actors to comment on the narrative in Forbidden Love from their own positions – positions in which the fictive and the real coincide into one single idea about presence and action. 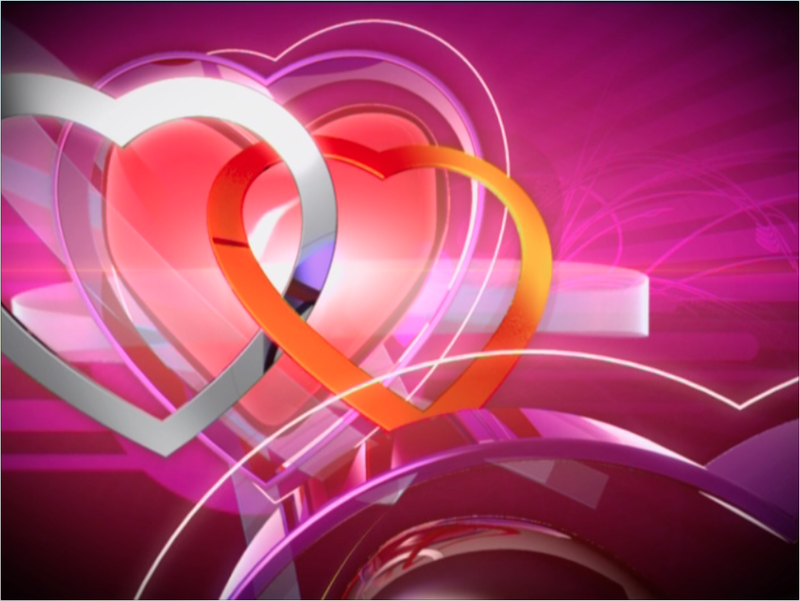 Crunteanu has constructed a bridge between reality shows and soap operas, sometimes called ”reality soaps”. The dramaturgy is in the tradition of the soap opera but each episode has its own narrative. The aesthetics, however, is more like in a reality show, where the cuts are quick and the camera is hand-held. In many ways, Forbidden Love is a reality show, as the actors fill out a lot of the actions with themselves, embodying the gaps in the pre-written score of narration. So, what is post-fiction? I would say that it defines a time when the dialectical relationship between reality and fiction is dismantled, so that the two sides become one. This should be related to a post-fact and post-truth era, where the performance of narrative is prioritized before the material background of speech. In that sense, it is the agency of execution rather than the discursive content that matters. It could even be argued that this is a way for the actors to gain more autonomy, not only embodying, but also taking charge over their characters in a way that they even can return to them years later. This is the inverted performance, where a surreal realism replaces the spectacle, where the position of the cultural worker, the actor and the TV audience is reconfigured. Between the lines of stage directions for the acting, the actors create small gaps for their own desires and needs outside of the narrative. It was through these gaps that Crunteanu and her co-protagonists reconstructed and re-approached the TV archive. Posing questions not to the actors, but to the characters, the meta-conversation becomes as elastic as the footage itself. What is clear here is that the strength remains in between the acting agents, not within the logics of a pre-written narrative where the options “fake” and “real” are still valid. The performance moves outside of the filmed frames and into daily life, where the conversation goes on. The actors remain allied with their self-constructed reality, one which the stage director and the TV audience never gets a hold of. In the soft boundaries between emotional work and labour, this method is developed through post-fordist working conditions, whilst the enactment enables the opposite of the performer’s subsumption. In this process, an autonomy in mediation is developed. The acting agents take hold of their fictional aliases, embodying an essentialist affect production and turning it into a dividuation of presence. This could also be seen as the reason why Crunteanu produced a second film, where the very event is separated from the televisation of it. Where the organisation of sensing agents is enabled through the very distribution of the performance.